Treatment has been great. I have been walking and bending over better. I’m able to do housework and a little yard work! Everyone I have worked with has done a wonderful job. 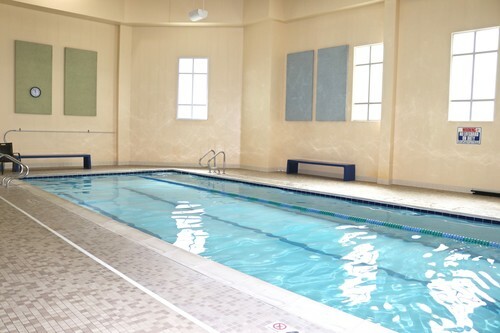 Aquatic Therapy is stretching, strengthening, and aerobic activities in a pool. Many conditions are best treated in the water where you will have greater control over your movement with less pain because your body is supported by the buoyancy of the the water. While submerged in water, buoyancy assists in supporting the weight of the patient. This decreases the amount of weight bearing which reduces the force of stress placed on the joints. By decreasing the amount of joint stress it is easier and less painful to perform exercises. The viscosity of water provides an excellent source of resistance that can be easily incorporated into an aquatic therapy exercise program. This resistance allows for muscle strengthening without the need of weights. Using resistance coupled with the water's buoyancy allows a person to strengthen muscle groups with decreased joint stress that cannot be experienced on land. 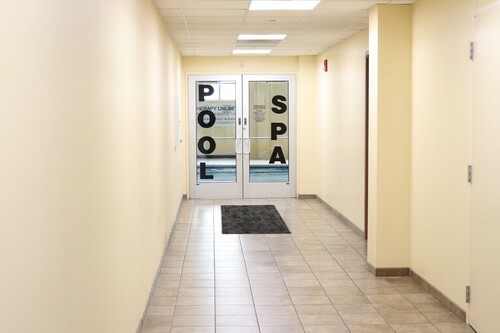 Many of our individualized rehabilitation programs will include both land and aquatic therapy with the goal of finalizing your therapy on land. However, ongoing arthritic pain, joint pain, balance training and overall pain management and agility can be enhanced with aquatic therapy, which is particularly good for older patients. As we age, the body eventually becomes less responsive and increases the risk of falling. Aquatic Therapy can help older patients gain control of the "righting reactions" which keep the body from falling. Michael Leither, PT, OCS pictured engaging one-on-one providing a safe therapeutic environment.